Disinfectant, virucide with organic soil tolerance. 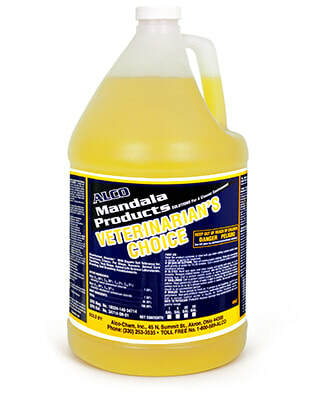 For veterinary clinics, pet shops, kennels, animal care facilities, tack shops, animal life science laboratories, breeding and grooming establishments. Effective against MRSA, VISA, Human & Canine Coronavirus, Feline leukemia, Canine Parainfluenza Virus, Canine Parvovirus (CPV), and New Castle disease virus.